How many workshops have your teachers been required to attend that they thought were an absolutely frustrating waste of time? When they are so busy, setting up a new year, or preparing units and lessons, or coaching athletics teams, their time is precious, and they have no tolerance for it being wasted by pointless “Professional Development”. This topic has nothing to do with me! Been there, done that – nothing new! Presenter wouldn’t survive in a classroom for ten minutes! Does the topic genuinely interest the participants? Too often, topics are chosen that interest only the administration. Perhaps the administrator learned of the topic at a conference where it was presented, and thought it would be beneficial for the school. Or there is a particular direction the administration wants to move the school, but there has not been any real staff discussion or buy-in. 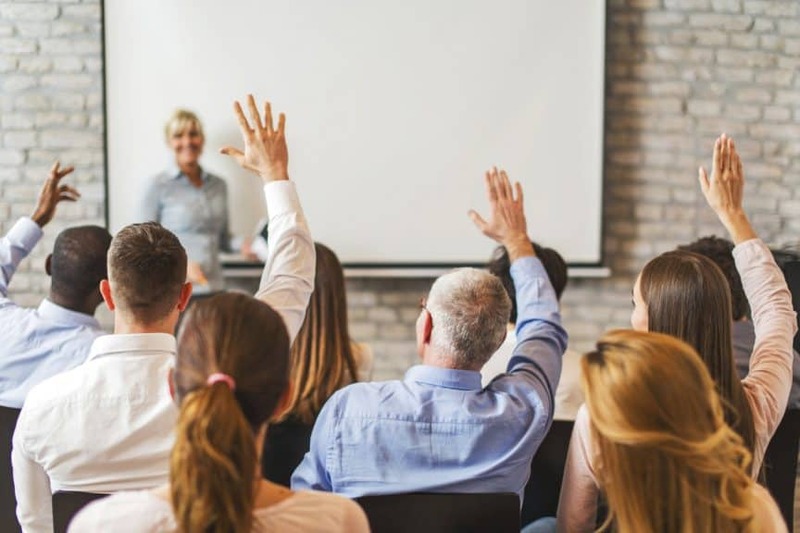 If the teachers are not interested in the topic, or feel that something is being imposed on them, they will likely resent being required to attend the workshop. Is the topic timely? Staff will most value professional development that addresses an immediate problem they are experiencing. Are teachers worried about how their social media lives could impact their careers? They will be interested in professional development on how to protect themselves. Are parents complaining that communication from teachers is inadequate? Teachers will find a good workshop on how to communicate effectively with parents helpful. Is the presenter an educator who really understands the life of schools? “Ivory Tower” academics who present much good theory and research, but are not able to relate their scholarship to the practicalities of schools, will not be nearly as well-received as presenters who are steeped in practical classroom and school experience. Does the presenter have current, relevant, deep knowledge? While credible presenters must have practical experience, they must also be able to draw on recent research. Staff needs to feel that the presenter is “one of them”, who has experienced what they experience, and has dealt with the problems they deal with. But they will also want to feel that they have learned something new, and that theory has been presented which helps them understand the situations they deal with in new ways. Is the presenter a skilled workshop leader? Teachers will not want to be lectured. The enormous amount of combined wisdom in a room full of practicing professionals is a rich resource that should be drawn upon in a workshop. Professionals want their expertise to be recognized, and to have the opportunity to share it. Workshop participants need a balance of listening and speaking, of learning and teaching. The atmosphere needs to be of a conversation between professionals, to which everyone has the opportunity to contribute. Is the workshop structure flexible, so that the specific needs and questions of the participants are identified and addressed? A good workshop should not be a “canned” presentation, endlessly repeated to audience after audience. Those kinds of workshops, although they may be polished and entertaining, and communicate useful information, will never leave the participants as satisfied as workshops which are more tightly focused on their particular interests. A fine balance must be struck between the presenter bringing in material and information, and some on-the-spot structuring of the workshop to meet participants’ expressed needs. If workshops are planned around participants’ current needs and interests, led by skilled and knowledgeable fellow-professional presenters, they will be welcomed and enjoyed by staff, make a meaningful contribution to their practice, and enhance the quality and ultimately the reputation of the school.